Welcome to Bearly Used Books, the only place in Parry Sound where you'll find more than 120,000 books at bargain prices. 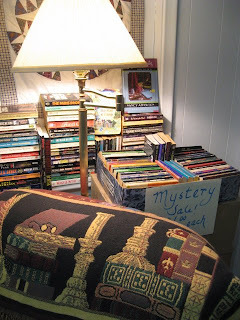 No matter what you like to read, you'll find it here. Start with Mystery at the front, then wind your way back through Canadian Literature and Science Fiction and Fantasy and many other sections. 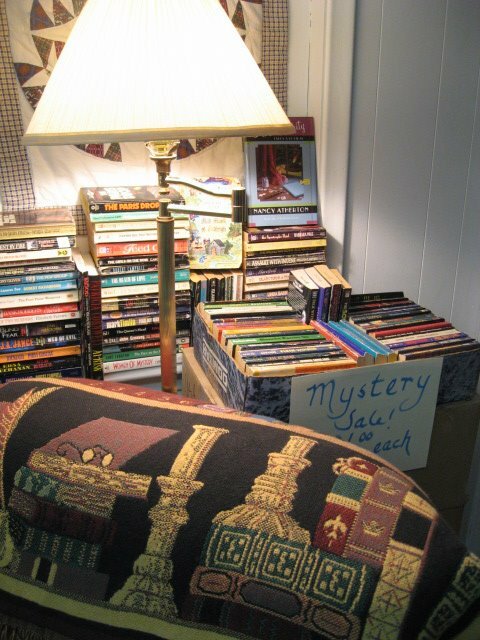 Pass through into the original store and find our Westerns, Classic Literature, History, the infamous wall of every kind of Romance Novel, Horror, Christian and our well stocked General Fiction. From Cookbooks to Literature and so much more, you're bound to find what you're looking for. Check our shelves for bestselling books from authors like Stephen King, Bernard Cornwell, Scandinavian Thriller Writers, Diana Gabaldon, Clive Cussler and many others. There's always a bargain bin too, where nothing goes for more than $1! You can buy 5 books for $5 and get the 6th book free. The dollar section is sorted into male and female, mostly fiction with the odd Horror and a bit of Romance! Don't be afraid to ask our staff about their favourite picks or about what other readers are recommending! If you've found your choice, take a break while waiting for the rest of your party and relax in our comfy chairs. Don't worry if you nod off! It's happened a few times now, right fellas? You can also bring your books in for trade. If you don't see what you're looking for, leave a request and we'll let you know when your books arrive or just keep coming back to see what's new. We add hundreds of books to our shelves everyday.